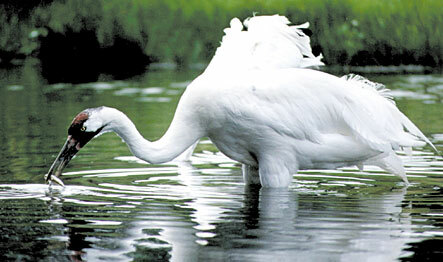 Animal Wildlife | Crane | The crane is a large, long-beaked bird that is found all over the world. There are 15 different species of crane found on Earth today, but despite their similar appearance, cranes are not related to other long-necked birds such as herons. Cranes are found on every continent with the exceptions of the Antarctic and South America, where they are found inhabiting the temperate wetlands and swamps throughout the Northern and Southern Hemispheres. Cranes are large sized birds that to grow to an average of 1 meter in height. 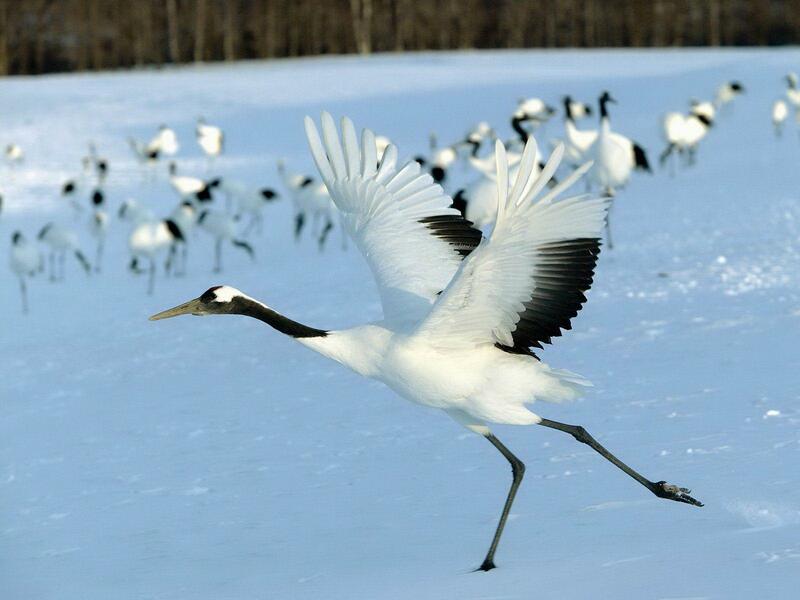 Some species of crane however, such as the Red-Crowned crane of Eastern Asia, can grow to nearly 1.5 meters tall. Other crane species can be slightly smaller although they are in general, very large birds. Despite their seemingly enormous body size, cranes are actually quite agile flyers, getting their practise as they migrate between Siberia, China and Japan. Unlike herons, cranes fly with their necks outstretched which helps them to control their large bodies when soaring through the skies. Despite its large size, the crane is an omnivorous bird meaning that it feeds on both plants and animals alike. Spending their lives close to water, cranes primarily feed on aquatic organisms including insects, fish and amphibians, along with a variety of plants including grains and tree bark. 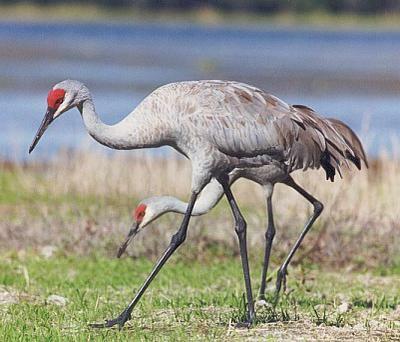 Due to the sheer size of adult cranes, they have few natural predators within their native environment. Foxes, wildcats and large birds of prey including owls and eagles are the most common predators of the crane and mainly their chicks. 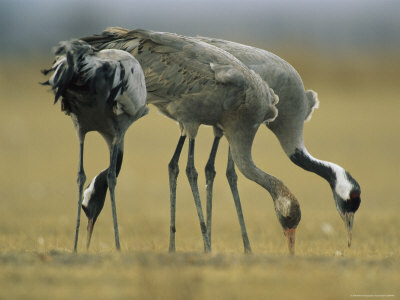 Cranes generally breed in the warmer summer months although the exact breeding season depends on the crane species. Female cranes construct large nests, generally in the trees, where they lay between 3 and 5 eggs. Once hatched the crane chicks are nursed by their parents until they are strong enough to fledge (fly away from the family nest). 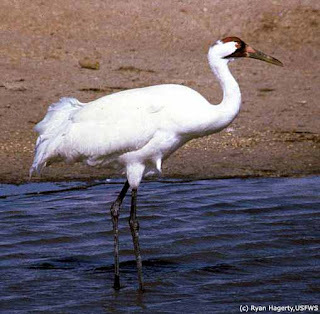 Today, many of the 15 crane species are either considered to be vulnerable in the wild or critically endangered. The drastic decline of the world's crane populations is primarily due to habitat loss and pollution in their native environments.